The machine includes frame, the electrical control system, solenoid pilot actuated value, pneumatic components, membrane filter fan, ultravidet lamp, systems back to wine components. This machine is specially designed for 5L pop cans. The control unit adopts Siemens small PLC for controlling the whole process. 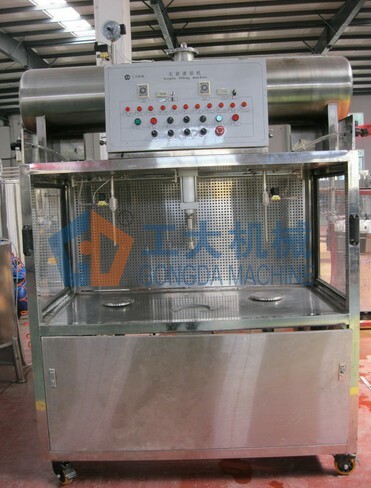 This machine can be used to finish aseptic filling in condition of sterilize by membrane filter machine and ultraviolet lamp. The machine fills the beer barrel in the way of vacuum-pumping and CO2 pressure preparation.